Whenever a hard drive fails , everything happens all of a sudden . Within seconds your hard drive crashes and with it goes your important data . You can get a new hard disk but not your data . If you are lucky enough you can pay for a professional data recovery service and get your data back . If you don’t want to, then you can try out everything yourself . until you end up with recovering bits and pieces of your valuable data . which won’t be of any use to you . But everybody deserves a second chance and you can save your important data beforehand . Like everything else , a failing hard drive has certain signs and symptoms . If you get to know of these symptoms beforehand then you have a good chance of saving your important data . A few days back i wrote a post on how to find out the health status of your hard drive . I hope the was useful to you . Today i am going to tell you about 5 signs and symptoms which indicate your hard drive is going to fail . Continue reading on to know more about the 5 signs and symptoms that indicate your hard drive is going to fail . If your hard is about to fail , then you will find your computer to slow down ridiculously . Once this happens you will see that your computer will take ages to start up . Even if your your computer starts up you will notice that your computer will be very slow , even slower than a slug ! . Further when you try to open up any drive or folder on your computer , it will be very slow and may freezer your system or lead to a blue screen . While most of the experts will point towards low ram or junk data as the culprits . In my experience its always the hard drive . One your hard drive starts to fail , you will see a lot of corrupted data on your windows computer . You will be able to save any file , but when you try to open it windows will always show it as a corrupted file . Even in many cases files start to disappear from a computer and a lot of programs stop responding and start freezing up your computer . If you ever get any similar errors then its a vital sign that your computer’s hard drive is failing . This is another most common sign of failing hard drives . 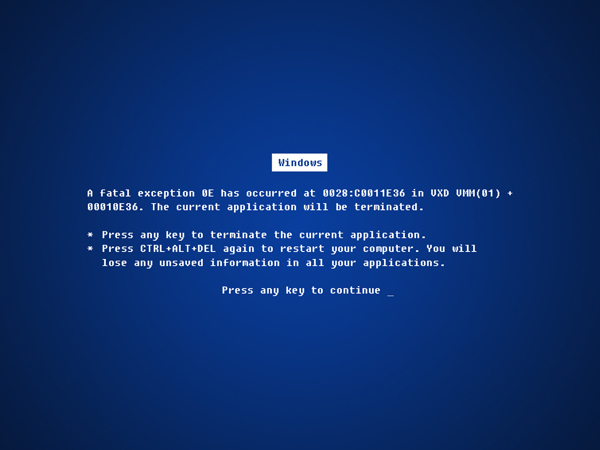 Every time you boot up your windows computer , the Chkdsk command will be run automatically while your PC boots up in windows . While this might be due to an improper shut down , but if this happens frequently then surely it indicates a failing hard drive on your computer . This is the most common sign of failing hard drives that i have experienced with all of my computers hard drives . Often a hard drive starts to make a repetitive clicking noise in regular intervals . The clicking noise indicates that the write head of a hard drive is trying to write data onto the hard drive but its unable to do so . This is a very common sign of failing hard drive which is known as the click of death . No pun intended , but its a hard drive only threat . Alternatively if you hear Grinding and rattling noise it is the motor that spins inside the hard drive , which is failing . Though theres another thing you should be aware of , sometimes a hard drive might be loosely installed inside a cabinet . Since a hard drives with an rpm of 7500 or more , it is normal for it to vibrate and make noises when it is loosely installed . If you hear a grinding or rattling noise again , first of all do check if your hard drive is installed properly in its tray or not . Bad sectors are little clusters of data on your hard drive that cannot be read . Bad sectors can of two types , which are hard bad sectors or soft bad sectors . While hard bad sectors cannot be repaired but the soft bad sectors can be repaired by a software . Windows Chkdsk can be used to repair soft bad sectors , While hard bad sectors cannot be repaired and indicates your hard drives is about to fail . But whatever the kind of bad sectors it may be , its always advisable to take a backup of your important data wherever your hard drives develop a bad sector . Sooner or later you hard drive is going to fail . The red spots in the pictures are bad sectors detected by HDtune . These were most of the signs and symptoms that i have experienced personally with my computer’s hard drives . If you need any kind of help troubleshooting problems with your hard drives then do add a comment below .